^ Froese, Rainer and Pauly, Daniel, eds. (2006). "Stenotomus chrysops in FishBase. January 2006 version. ^ Scup NOAA FishWatch. Retrieved 5 November 2012. Scup are heavily fished commercially and recreationally. Management measures for the species generally include size limits, bag limits, fishing seasons, and equipment requirements. 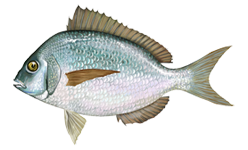 Scup are also managed through quotas that are separately regulated during the different seasons. 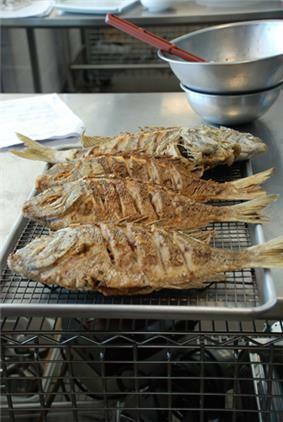 Many consumers like their light flavor and they are sometimes called panfish. Popular methods of cooking include but are not limited to frying, broiling, and baking.